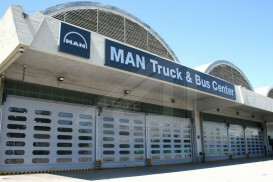 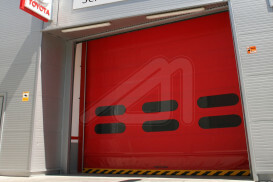 The speed doors from Angel Mir – Puertas Bisbal, S.L. 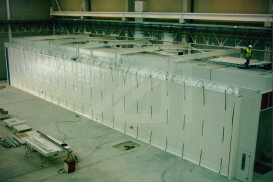 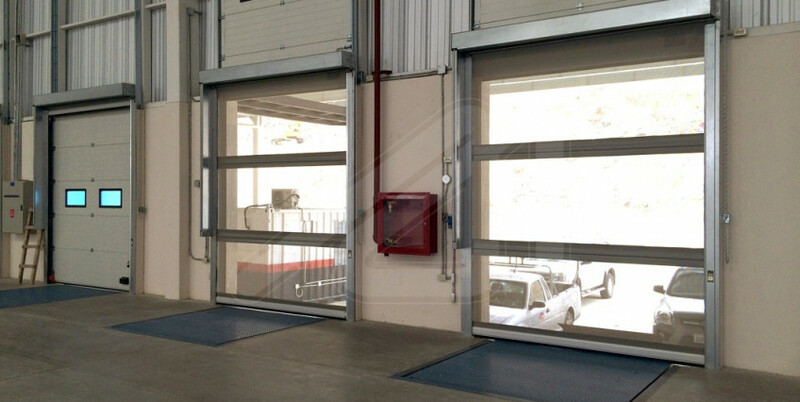 are flexible and light doors for intensive industrial use that, thanks to its operational speed, they reduce to the maximum air currents and losses of ambient temperatures, and they make the intense flow of people and vehicles easier. 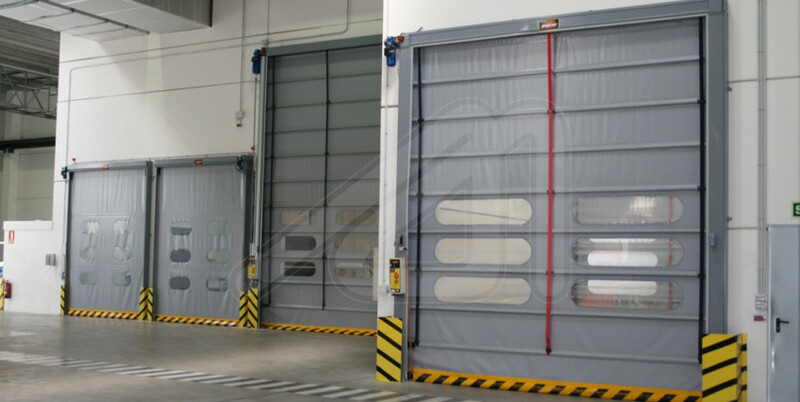 The fast action doors can be placed both outside and inside, and they are made up of a base frame and a flexible canvas. 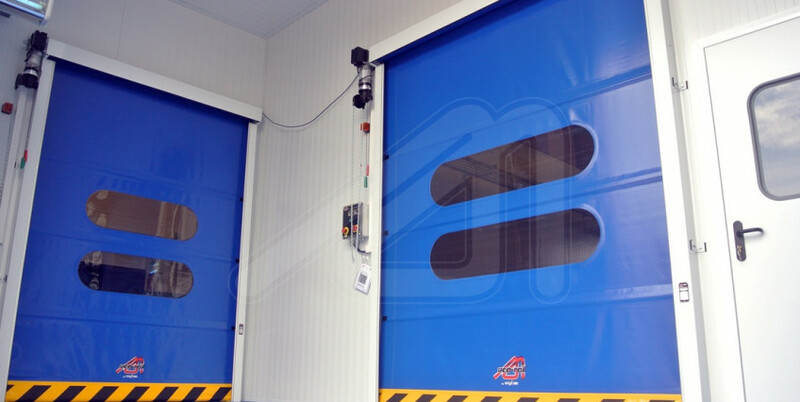 As they are not rigid doors, they stand out for their speed opening and closing, resulting in an increase of daily energy economy and a substantial improvement of the productivity. 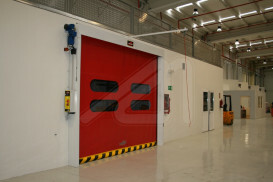 They can be classified into two big groups: doors with fold up canvas system and doors with rolling canvas system. 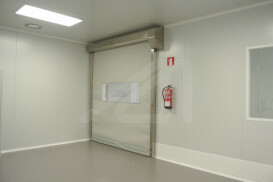 To choose one or the other will depend on the conditions of the place where the door will be installed. 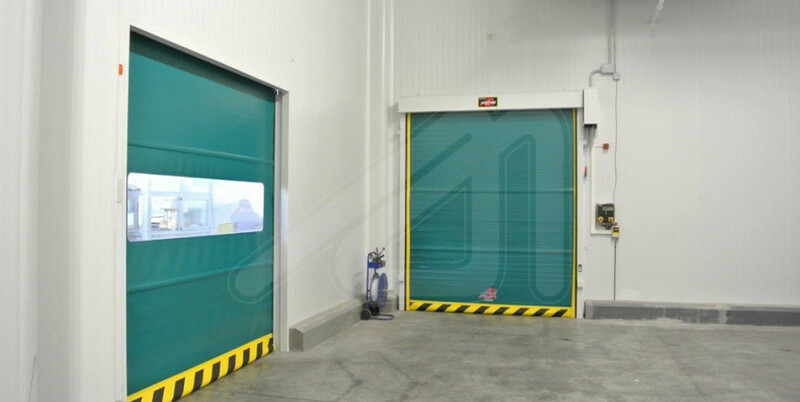 For over 30 years, Angel Mir – Portes Bisbal SL has been manufacturing speed doors, which are internationally recognized nowadays. 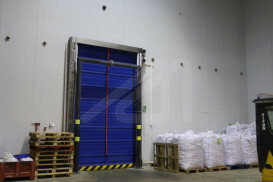 During these three decades and according with the Enterprise policy, the fast action door range has been increased in order to supply all markets, including chemistry industry and food industry (see International Certifications), and also developing custom doors for special applications. 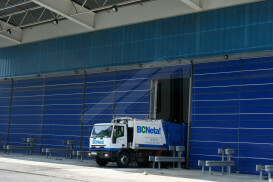 Fold up speed opening door for large accesses facing outwardly and inwardly where there are high wind loads. 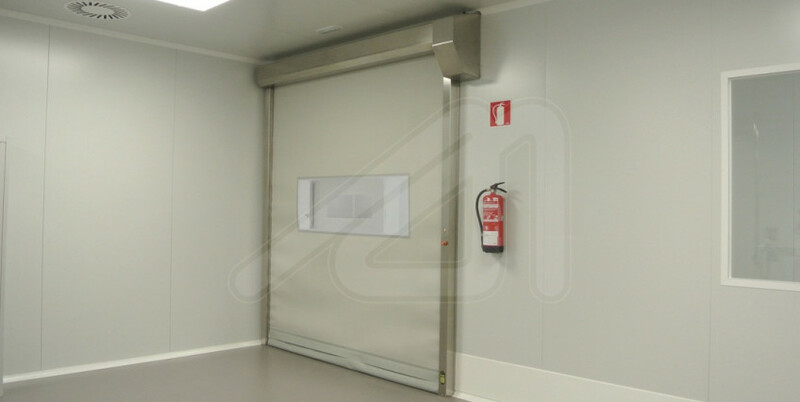 Fold up speed door for midsize accesses, facing outwardly and inwardly where there are high wind loads. 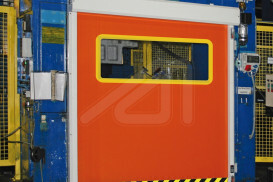 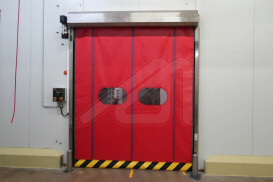 Fold up speed door for large accesses facing inwards where there is no wind pressure. 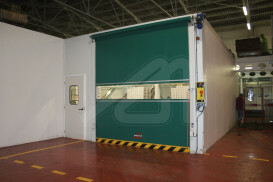 Fast action roll up door for midsize accesses facing inside and where there are light wind loads. 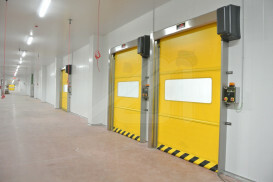 Speed rolling door with auto-tracking system appropriate for interior spaces. 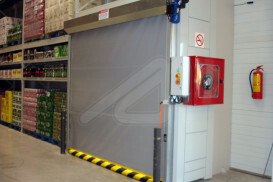 Speed rolling door for outdoor spaces with wind pressure, with a continuous auto-tracking system lacking rigid elements.